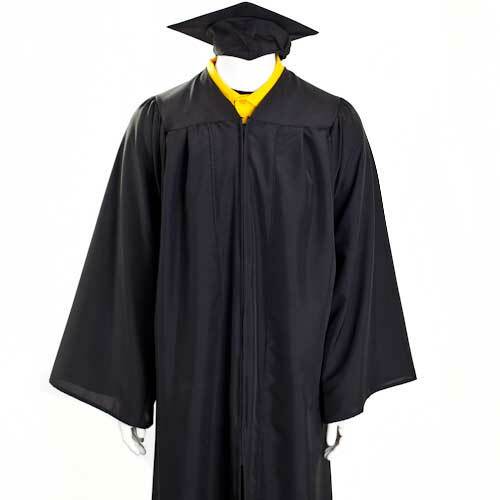 Bachelor degree gown with mortarboard cap, and tassel. Tassel color is determined by college and includes M-charm. Bachelor gowns are sized by height in 2" increments. XL and 2XL sizes are available for those in extended sizes.